Spotify will pay up to $43.5 million to end a lawsuit filed by a class of song owners who claimed the music streaming giant failed to pay the mechanical rights for songs offered through its service. 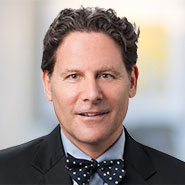 Greenberg Glusker Partner William Hochberg, who is not involved in the case, told the Daily Journal in a May 31, 2017 article that splitting of copyrights dates back to the days of the player piano. The complaint, initially filed in the Central District of California, but later consolidated and moved to New York, claims that Spotify neglected to secure licenses for mechanical rights prior to launching it service.